Recall actually covers 2012-2015 Focus. Certain warmer temperature states will get door latch replacement. Others will get replacement only if the door latch breaks. Last edited by wavsine; 08-05-2016 at 08:51 AM. Giving you the "stickie" here since yours includes the official release information in more detail. Fuel pump for some was the only prev. recall for these and it's in the stickies here. P.S. - edited title for more detail, tx. for the quick kick suggestion Wavsine! Only warmer weather states will get free door latch replacement. 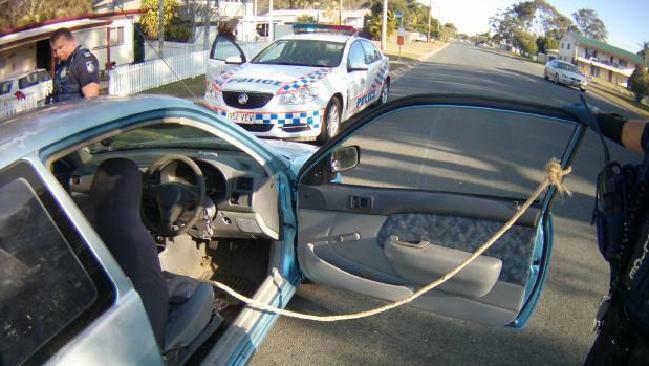 Other states will be advised to use this advanced secondary restraint mechanism until their latch breaks and only then will Ford replace it. GhiaFan, Arco-Zakus, 7-UP BILL and 2 others like this. Last edited by wavsine; 08-05-2016 at 11:00 AM. Nice my car was made in Feb 2015, I just missed it. And so even folks (like me)who bought the car new, will get screwed by Ford. The same sort of thing happened to my 1999 Contour SVT. The dashboard had a recall for warping. But only if it looked like it was warping. Well I kept my car in a garage, so the sun did not warp it 'soon enough'. A few years later mine started to warp.. Ford.. Sorry that recall has expired. SO I drove my 99' SVT with a horribly warped top dash plastic for another 7 years. Thanks Ford, I have a LONG memory. Ford's bean counters are opening themselves up to some major legal trouble. Current estimate for this recall is 270 million to replace latches in warmer states. Let's say for argument it might cost 500 million to replace all of them in every state. By only replacing the latches in southern states, they have saved 230 million dollars. There will surely be accidents/injuries and even possibly fatalities that result from a partial recall but Ford's actuaries still think that total claims will be far less than 230 million. So what if a northern state customer's door opens while he is driving down the interstate? Ford will gladly replace it. Just rope your door shut until you can make your way to the dealership. Geez. A responsible car manufacturer would recall ALL of these cars immediately. This is not a cosmetic defect like a warped dash. This is a safety issue. Car manufacturers submit engineering data to DOT to certify side door beam crash integrity. That data assumes the door is properly latched at the time of a side impact collision. If the door is ajar, all bets are off. Last edited by wavsine; 08-06-2016 at 03:45 PM. FWIW - I went through all the threads (3) I knew of for this offhand and every broken latch mentioned was from the states included in the recall (Low numbers here, but a repeated issue is significant). One concerned member without a failure from MO who mentioned the car came from FL.. If their reports match this, and the engineering info. on the failure matches as described (high temps from parking in the sun/warmer climates), it would definitely be a priority to concentrate on the affected areas. This is where I disagree on the "responsible" step to take. Nationwide recall right now would dramatically slow down replacements in the areas affected. That would be irresponsible since it would increase the likelihood of a more serious incident without a matching reduction of possible issues in the areas where it's apparently unlikely. Doing them all eventually might be good, don't know the likelihood of a problem outside of the areas where it's already occurred but it would certainly make more feel secure. And many PO'd about the inevitable PITA's and minor damage to door covers that can occur. Regional recalls aren't new, such as the regional one on Chrysler minivans for a spare tire cable that tended to rust through on older cars in the salt zone. Airbag recalls started for warm/humid climates, IDK how badly replacements there were slowed once it became national as more cars/items were found involved. I know that the replacement interval expanded to YEARS, and it may have been a BAD thing to widen the areas too fast so the most likely to need them weren't first in line. Nationwide recall right now would dramatically slow down replacements in the areas affected. There would certainly be nothing wrong with doing the recall in stages but that is not what Ford did. As for dramatically slowing down replacement in less temperate states, as long as parts are available, the work is spread out across the dealer network. I am sure Ford has already begun dealing with the logistical nightmare of ramping production/distribution of an updated latch. I have no problem with delaying the recall for temperate states. Just don't tell those customers to only call us when it breaks. The ODI indicates these latches are defective and fatigue/duty cycles also play a role in eventual failure in cooler climates. That is irresponsible. Again, this is not a cosmetic defect. I am in the recall area as well but I am not crazy about having a monkey tear my door panels off. I am seriously considering doing the work myself but that will involve me paying for the parts as Ford will not supply them to me.